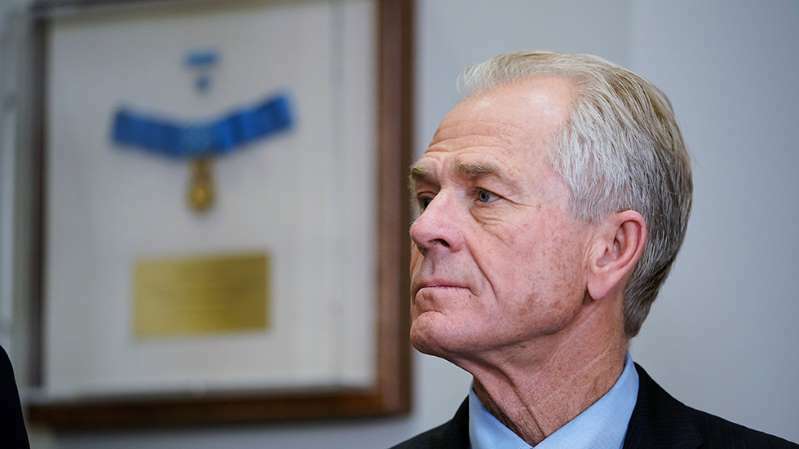 Peter Navarro, one of President Trump's top trade advisers, drafted an executive order last year that would have imposed steep tariffs on any country that does significant business with North Korea, according to a copy of the order obtained by Axios. That executive order could have led to tariffs of as much as 45 percent on every product imported from countries ranging from Mexico to Saudi Arabia, Axios reported. [post_ads]It's unclear whether Trump ever saw the draft order. Axios' report noted that the news outlet did not have evidence to suggest that the proposal was shown to the president. In a statement to the news outlet, White House spokeswoman Lindsay Walters said: "We don't comment or give credence to allegedly leaked draft documents especially those that are purported to be almost a year old." The draft would have come last fall, as the Trump administration sought to increase pressure on North Korea to back away from its nuclear ambitions. Since then, Trump has met with North Korean leader Kim Jong Un to discuss ways to reduce tensions between the two countries. But Trump has also carried on a bitter trade war with China and has imposed tariffs on steel and aluminum imported from the European Union, Mexico and Canada. He has said that such trade barriers are necessary to fight back against what he has deemed unfair trade practices.